I have been interested in photography since I was a very young boy, my first camera was an old Kodak folding camera that took 620 film. My parents gave it to me when I was 9 or 10 years old. They would give me film and take it to the Drug Store for processing. The image above is my Grandfathers house in Mableton Georgia, one of the early images I captured. It was a few years later that my folks gave me a darkroom kit for Christmas. 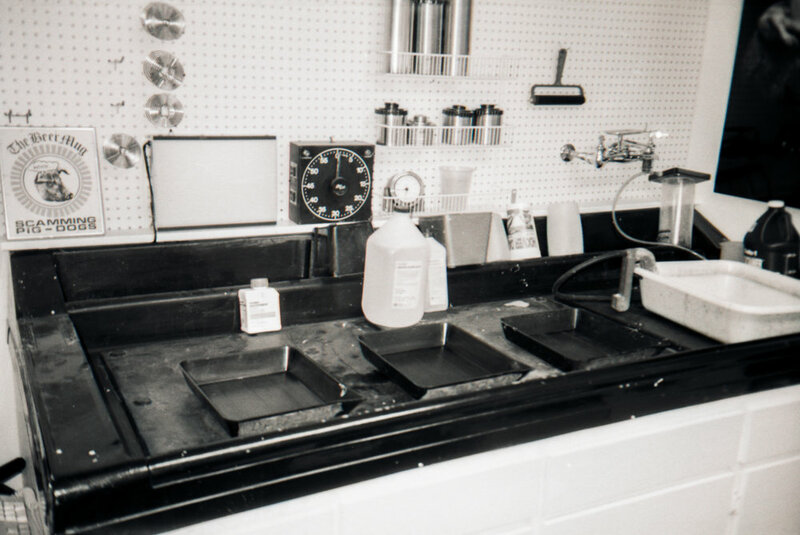 All it included was a Yankee Film developing tank, developing trays, chemicals and a contact printer. Dad hung blackout curtians in the bathroom and I was good to go. Over the next few years I got more involved in photography and by High School was ready to dive into it. The school had a company that did all of the photography for the yearbook and they would mentor students. There were loaner cameras (Yashika Mat 124G) and access to a darkroom. By this time I had saved my money and purchased an enlarger and other supplies from a local camera store. My Dad built me a darkroom in the corner of his storage shed. It had lights and running water! 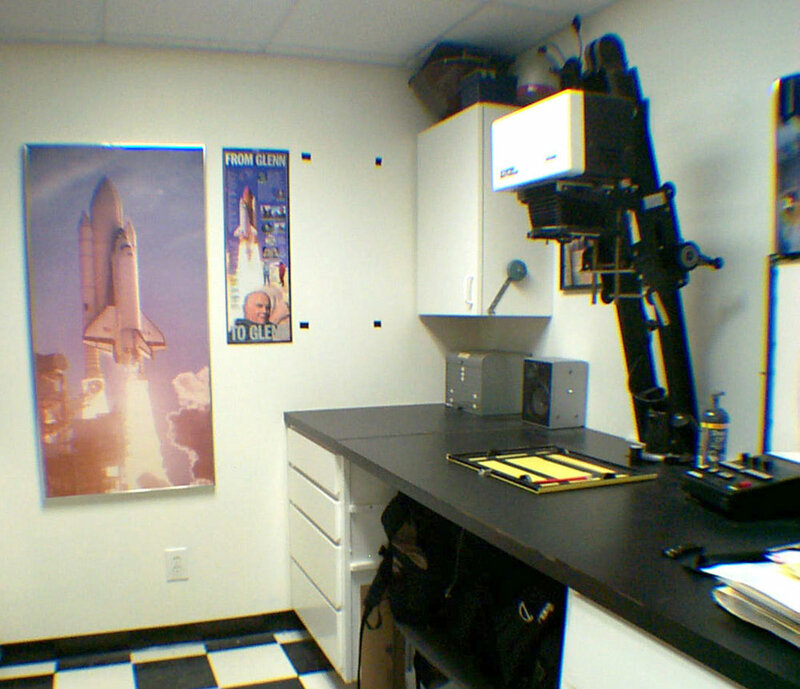 This darkroom is one I built in our home and worked out of during the early 90‘s. Dad built the custom cabinets. Throughout college I worked for a photography studio in town (Photos By Sebo). I did most of their B&W darkroom work and assisted with weddings and other events. I also had the chance to shoot at various sporting events around town through their relationship with the Associated Press. Yes it is difficult being the photographers assistant at the Miss National Teenager Pagent. Above are a few relics from my past, press pass to a NASCAR race and a few photos. And yes one of my first Air Shows. My love for B&W Infrared goes back to the film days. I shot Kodak Infrared film, you needed a black out changing bag to load the camera and a filter that was almost black. The cameras all had a focus offset mark on the lens to adjust for the focus.